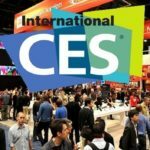 Last week, the eyes of the tech world were fixed at CES 2016 as thousands of companies including big players and startups such as Withings, Blocks and Double Robotics etc., were competing against each other for the tantalizing next big thing title. In their effort to make the event more engaging, Consumer Technology Association (CTA), the group that hosts CES also put up an iBeacon scavenger hunt. Attendees who had downloaded the official CES App on their iOS or Android device had the opportunity to earn scavenger hunt badges for having explored certain key areas of the show. In addition to that, the first three contestants to collect all of the available badges were rewarded with digital cameras from Activeon and Panasonic , while a limited number of prizes were offered to others who completed the hunt throughout the week. It goes without saying that gamification plays a crucial role in creating positive brand awareness while offering enhanced visitor engagement. In addition to encouraging attendees to explore less popular areas of your event venue, you could also reward them for certain valued actions such as completing a feedback questionnaire. In this post, we will talk about how you can easily create a campaign using Beaconstac to hold a scavenger hunt at your upcoming event with just a few beacons. To get started with your beacon pilot, you can take a look at Beaconstac, that includes everything you need to get started. Using Beaconstac you can set up your own campaign, without a developer’s help! Let’s set up an iBeacon Scavenger Hunt at an event titled ‘IoT Expo 2016’. The hunt is aimed at encouraging attendees to explore two key areas at the event venue – the ‘Smart Home’ section and the ‘Robotics’ section. For the purpose of this campaign, we will be using 3 beacons and install one each at the entrance of the venue, the Smart Home section and the Robotics section respectively. Attendees who explore the entire Smart Home and Robotics sections will be asked to go and collect their reward at the reception desk. Also, in order to ensure maximum engagement, we will conduct the scavenger hunt between 3PM and 4PM, when maximum crowd is expected to be present at the venue. Before we begin, the first thing to do is to purchase beacons. Once you have your beacons in place, add their details to the Beaconstac dashboard. Details of the beacon include UUID, major and minor numbers as shown in the screen below. You can also name the beacons for easy identification. Like I mentioned before, for the purpose of this campaign, we will be using three beacons, one at the event entrance, another one at the last booth of Smart Home section, and another at the last booth of the Robotics section. Let’s name them as Beacon 1, Beacon 2 and Beacon 3. Once you have added the beacon details, they are ready to be installed. Next, we’ll create a card that attendees will see on their device. Cards are basically creatives that show up as a notification on the user’s mobile phone when certain conditions are met. Beaconstac offers several types of cards such as Summary, Photo, Media, etc. For the purpose of this campaign we will be creating three different summary cards that will be triggered for each of the earlier mentioned three beacons, respectively. For example, we will create a Summary card titled ‘Join the Scavenger Hunt’ that will be triggered by Beacon 1. It will ask attendees to participate in the scavenger hunt at IoT Expo 2016 to win exciting prizes. Another card titled ‘Check out the Robotics Section’ will be triggered by Beacon 2. It will ask attendees to go check out the Robotics section. Another card titled ‘Hurry! Go collect your Reward!’ will be triggered by Beacon 3. It will ask attendees to collect their rewards from the reception. After this, all we have to do is create a rule for the beacons placed at the venue so that it triggers the notification when an attendee is in its proximity for 15 seconds or more. As an example, we will add a rule to Beacon 2. Next, we need to add a custom attribute which will determine which attendees will qualify to receive these notifications. Custom attributes can be used to filter users based on criteria such as number of visits, previous purchase history, etc. Another important thing to note here is that the rules applicable to the 3 beacons are tied to the ‘Progress’ custom attribute. This will help ensure that the attendees who happen to come across the beacons in an incorrect order won’t receive any notifications. As an example, we will list down the custom attributes that are applicable to Beacon 2. After this, we’ll add the action to be triggered when the rule is true. Here, the action to triggered by Beacon 2 is the ‘Smart Home Section’ card we created. Besides this, it is also possible to direct people to a webpage or set up a custom action type. And we’re all set! A customer who is seated at your coffee shop and meets the criteria set in the campaign will see the following screen on their device. Do try this out and let me know your thoughts about this campaign. If there a specific campaign you would like to read about, I’ll be more than happy to share how you can get it done using Beaconstac. 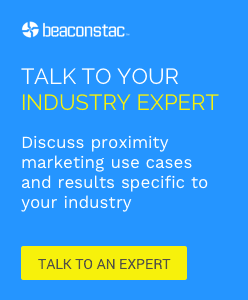 Meanwhile, if you are planning a beacon pilot, take a look at Beaconstac, that includes everything you need to get started. Using Beaconstac you can set up your own campaign, without a developer’s help! The iBeacon Revolution: Is it for Real or Just Hype?